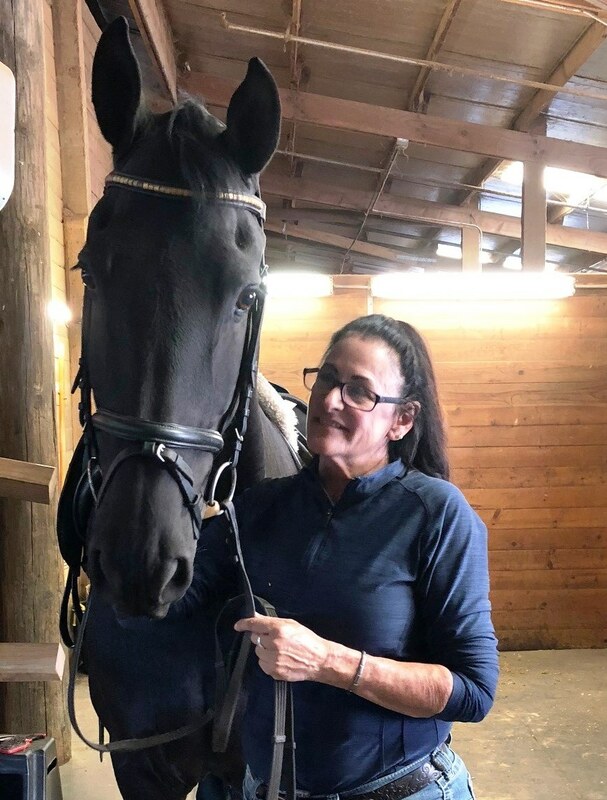 PRADA BSF - SOLD Congrats to Marlene---On a fabulous new dressage horse!!! 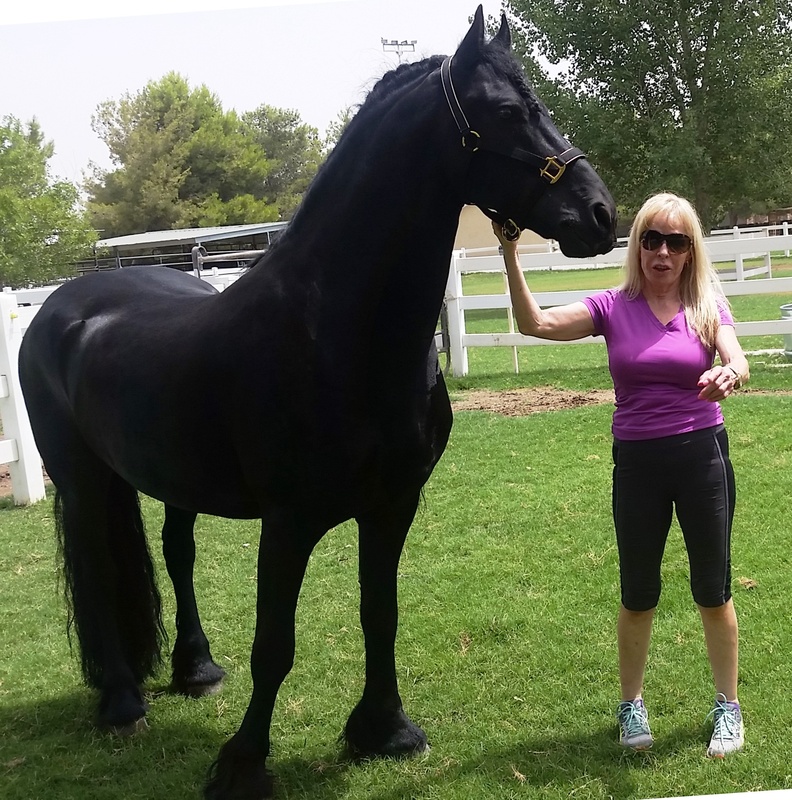 I just want to share with you and anyone who wants to buy a quality Friesian, without having to worry about honesty and integrity. 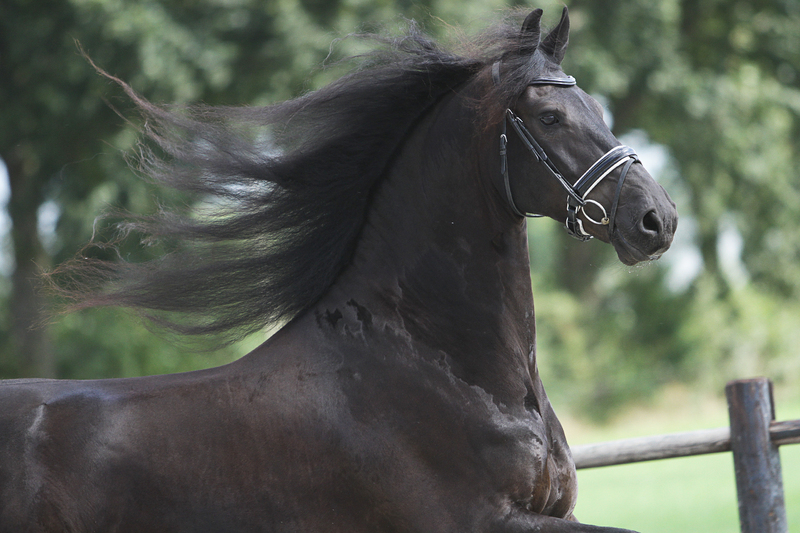 I have been following your web site for years and have admired your beautiful Friesians offered for sale. I recently lost my 4th level Friesian to a very unusual adrenal tumor that invaded a large blood vessel. Rode that morning and gone that night. Of course I was devastated. After a month of grieving and coming to terms with my loss, I started to horse shop. 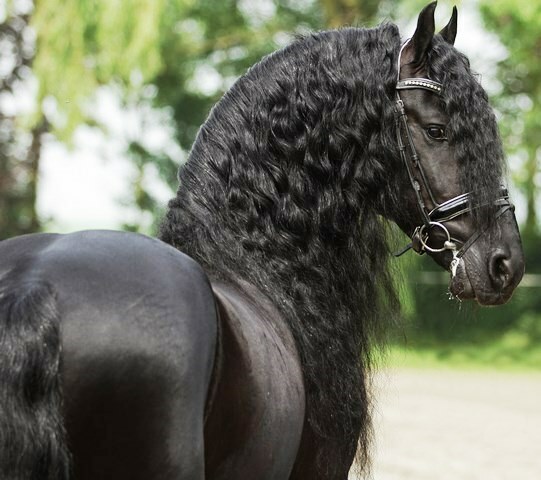 I found a site called "friesian______" that advertised quality horses from Europe and they were all about integrity and honesty, reputation, etc. It reminded me of Janna's site. I found a horse in my price range and inquired. This particular horse was already sold and I was redirected to another one that was made to sound perfect for me. A horse I could continue to do dressage with. I was assured he was very sound. No xrays done. After consulting with my trainer, I was advised to get xrays before I committed to purchase. Long story short, the horse turned out to have significant issues with his right front foot and would not be suitable for anything but light work. I called Cheryl and sent a full report of xrays that cost me over $800. The response was ‘IM SORRY”. No offer to reimburse any of my money. What topped it off was this horse continued to be advertised as a dressage prospect. Following this near miss I went on Janna's site and fell in love with the most beautiful horse I have ever seen. Janna has been stellar and made the purchase of this gorgeous guy seem easy. You can count on her for honesty, integrity and standing behind what she says. It is a swamp out there, purchasing horses, and with Janna, you have no worries. WHARTON - SOLD Congrats to Lindsey in Virginia! He's settling in nicely and so personable. 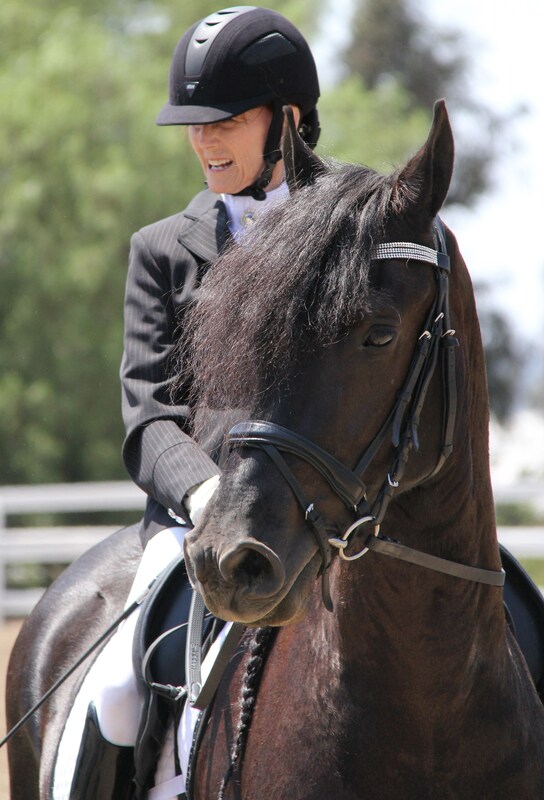 Okido - SOLD Grats to Carol on her special new partner for dressage:)! Wow! He's so gorgeous! I'm so happy. Thank you so much! What a holiday gift! 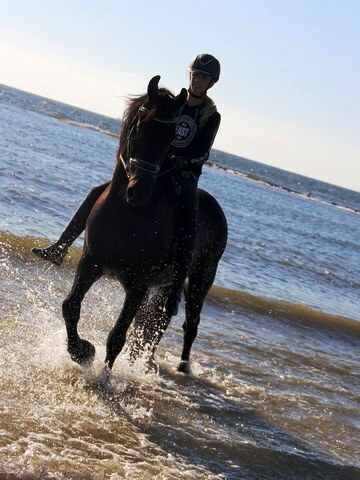 Many thanks to Janna Weir at Black Sterling Friesians for her hard work in our search. I had my vet come out and check Okido today, and she is in love with him. I am too. I think that we will do great things together. P.S. Thanks so much for finding such a magnificent creature for me to love! He has much inner strength and a calm nature. Pretty amazing. Wille - SOLD Grats to Kathryn in Colorado! Not only is Wille my "dream come true, but also for my "granddaughter". Her name is Ella, she is 14 yrs. old daughter of my oldest son. She has been in/out of numerous treatment centers for the past 3 yrs. We lost our youngest son, Logan 13 yrs ago. Anyway, Wille not only my "dream/therapy" horse come true, but I have offered my granddaughter to own 1/2 of the foal if she can work thru healing herself. So, its more than just my DREAM come true, but for my granddaughter too, will be priceless. Thank YOU for all your patience with me!!! Its amazing how fate happens & Wille is priceless to me & the family. THANK YOU again Janna for all your cooperation, patience w/ me for the purchase of Wille!!!!! I have had this on my bucket list & now my dream came true!!!!! And she is just the LOVE of my life. YOU have been the BEST! VINNY - SOLD Dream Come True for Leanna in Tenn! OH MY GOSH, THANK YOU SOOO MUCH. You have no idea how tremendous this is for me. I can not express my total gratitude for your help!!! I'm totally smitten with Vinny. I spent the whole afternoon with him, even just sitting in the corner of his stall. I love him so much!! He's just so calm. I went in his stall and sat beside him while he was laying down after his arrival, QUITE an awesome experience. You have such an AMAZING job. I just look at Vinny with awe and wonder...then it hits me, HE IS REALLY MINE. I love him so much and am incredibly thankful to you for helping me find him. THANK YOU SO VERY MUCH!!!! I couldn’t be happier. Vinny is EXACTLY what you said he was. So SWEET!!! Easy going, nothing, so far, seems to bother him. He just goes with the flow. You should be told when you do your job well and you should be told you are appreciated. Fabian - SOLD Grats to Jules in Malibu! We are so excited to have Fabian with us, he is a very special horse!! Fabian is wonderful--we are SOOOOO happy with him! The fires have caused so much devastation. My barn and home are gone. Fabians farm is fine, thank goodness. Tavas - SOLD Congrats to Jessica in GA! Update: Tavas (now named "Noche") arrived yesterday and he is beyond sweet and absolutely stunning! I cannot thank you enough for helping me find such an amazing horse. I have always wanted to own such a high caliber horse and I literally went to law school to help me achieve this goal. The years of hard work and "paying my dues" were paid off yesterday when my fairytale boy stepped off the trailer. I cannot express my thanks enough and am eager to my new journey with Noche. Thank you again. Update: Hi Janna, I wanted to let you know how much I love Noche (fka "Tavas")! Two weeks after he arrived, and after being able to only ride him three times due to bad weather, I took him to his first archery competition. For his first competition, I could not have been more proud. Not only is he stunning to look at, he has an amazing brain! 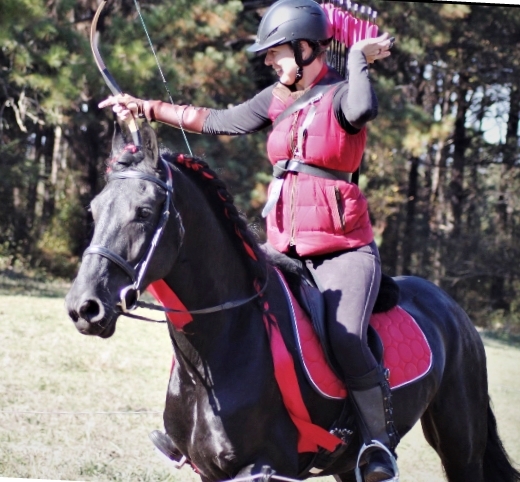 He was taken to a new farm, ridden alone in the woods while I shot at hidden targets off him, and completed multiple runs on an archery course set in front of a large crowd with dogs, chairs, children, cars, and various other distractions. During all of this he acted like he was a pro. I would never have imagined a 4 year old could be so calm and easy to handle. I am beyond excited about our future together! Thank you!!! TIAGO - SOLD Congrats to Gail in NY!! JEMKO - SOLD Congrats to Sarah in MI! TSJOLLE BSF - SOLD Congrats to Madison in Manhattan Beach!!!!! Thank you so much Janna! I couldn't be more excited!! He is an absolute dream! I would love for you to show him in the future. Del Mar is one of my favorite places to compete! Update.....I purchased Tsjolle Fan De Gouden Hoep from you. He is everything and more I could have dreamed of!